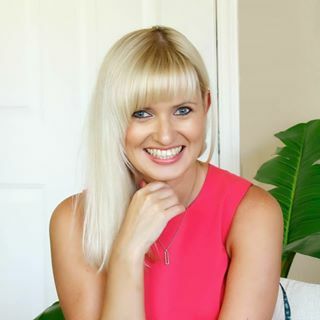 Hello and welcome back to our blog! 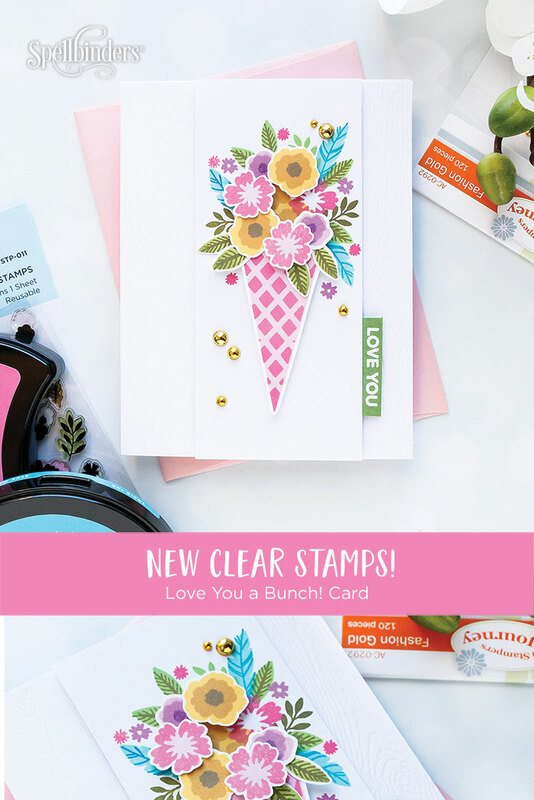 This week we are introducing our new Clear Stamps collection and we’re hoping we’re enjoying all the new products and projects we have for you. 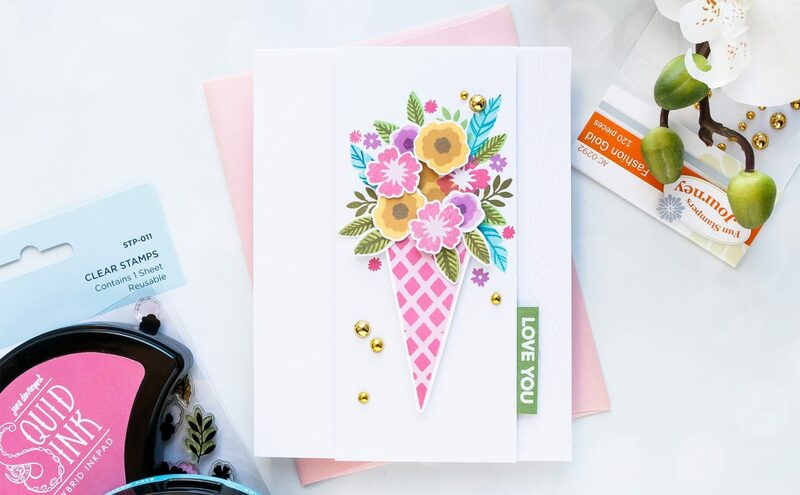 Today I’d like to share a fun and easy to make “Love You” Floral Bunch card created with our Thanks a Bunch Clear Stamps. Create A2 white side folding card base, cover front with white woodgrain paper. Cut white cardstock to 2 1⁄2 x 5 1⁄2“. 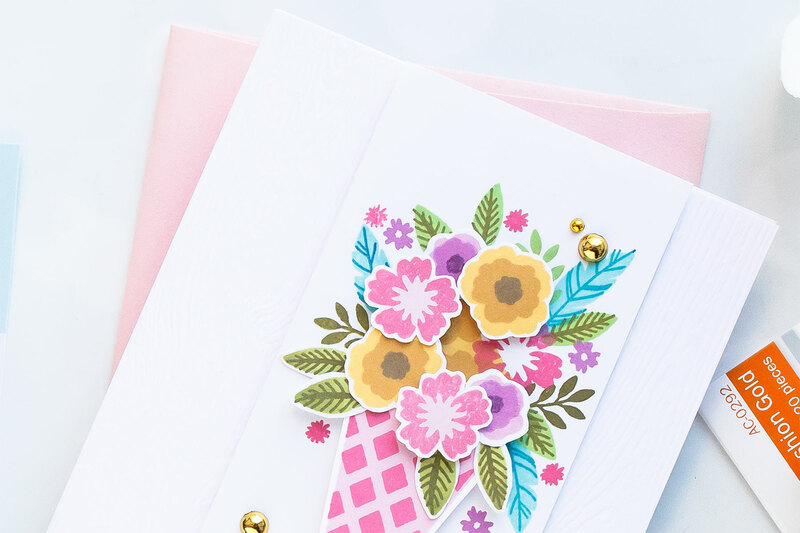 Stamp floral arrangement in various colors of ink. Stamp additional flowers and leaves, cut out using scissors, foam mount. Foam mount stamped panel onto the card. White heat emboss “Love You” on green cardstock. 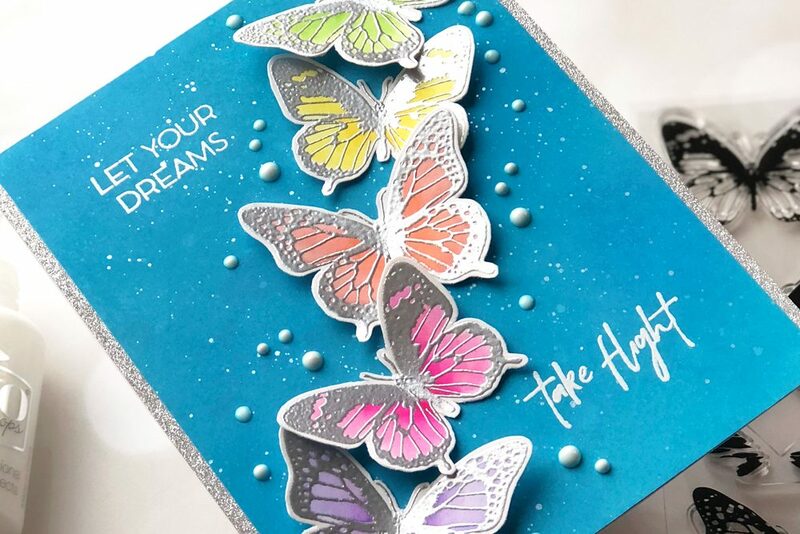 Cut into a strip, adhere onto the card. Embellish card with Gold Fashion Dots. 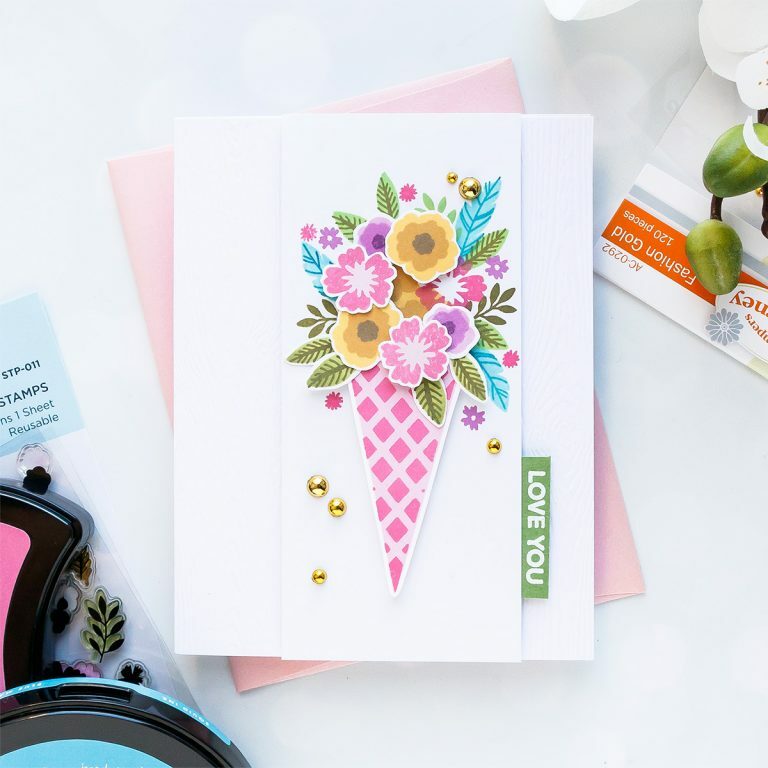 Our clear stamps come without coordinating dies so you’ll have to use scissors to cut these images out. 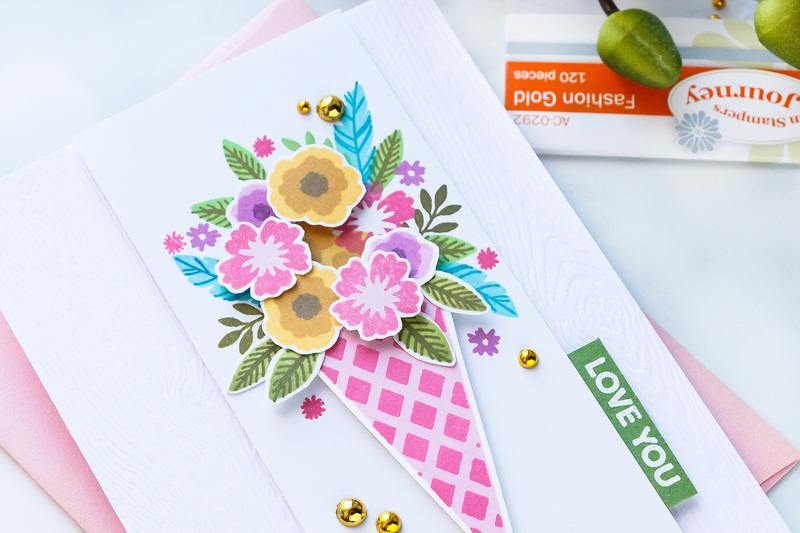 Alternatively, you can use masking technique to create a flat, one layer floral arrangement. 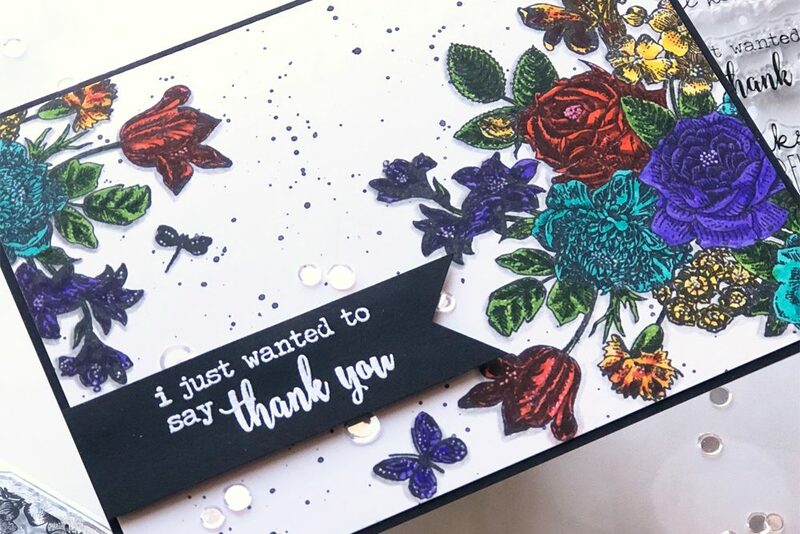 You can easily change this card to a “Thank You” by using another sentiment that’s included in this stamp set.